The SNBS DVD & VHS Store! Many of us are visual learners. We are not "book people". If it doesn't come in a DVD, it will just sit and collect dust on a shelf. I can absolutely relate to this, and so, it is with great honor, that I present the very best of Gentle Birth and Breastfeeding DVD's available today! As with my SNBS Book Store, all profits received from the Amazon Affilliates Program, obtained by SNBS when you purchase your item by following a link here at SNBS, will go back into providing free services to local teen moms (18 and under) in the Las Vegas Metro Area and Henderson. Thank you so much for your support of SNBS, and enjoy your learning journey! Click HERE to browse the full selection of Waterbirth and Gentle Birth DVD's at Waterbirth International. These DVD's are not available through Amazon.com, and SNBS does not receive financial benefit from the sale of these DVD's. They are a bit more of a financial investment, but SO amazing to see! 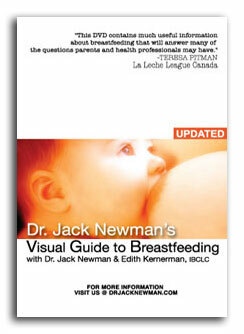 I will say it right here and now, this is my FAVORITE breastfeeding DVD. It just doesn't get better than Dr. Jack Newman. It just doesn't. Dr. Newman's DVD is only available through his website, so please click on the DVD photo to visit his website, watch a clip, and purchase this DVD. SNBS does not receive financial benefit from the sale of this DVD.